Blue Screen of Death or bsod is the mastermind of new errors that come up on our screen. And there are a lot of reasons behind this as well. One such error is Windows 10 bsod page fault in nonpaged area. 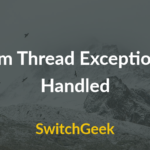 This error is experienced by many users and can be fixed but only when the correct protocol is followed. You cannot fix the page fault in nonpaged area error by a few clicks. This error actually means that Windows cannot find a piece of data that it is trying to find in the memory. Bad memory, faulty hardware, anti-virus software are some of the reasons that make us search for stop code page fault in nonpaged area Windows 10. And so now you don’t have to search how to fix page fault in nonpaged area. As we have made a list of the process that includes from some simple tricks to intensive work like opening the PC, through which you can fix this problem. Cause I- Your antivirus scanner might be disabled in the system service area. You will definitely see this problem coming up. And especially in Windows 10 if you have disabled the in built Windows Defender. Windows 10 page fault in nonpaged area will resist you from restarting your computer whenever you try to do it. Also, it has been noticed that if you have updated your Windows 10 from 7 or 8, the problem is solvable but it can become threatening if a clean install has been installed by you. 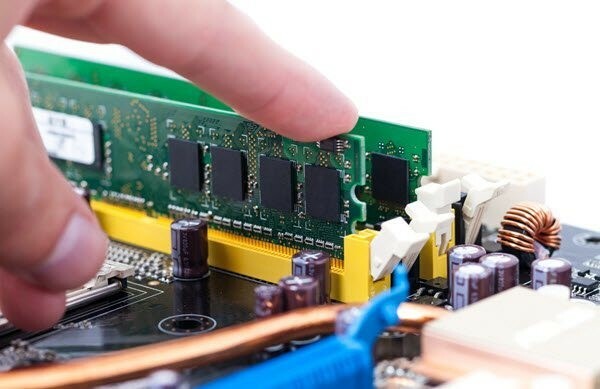 Cause II- The second reason that may lead to page fault in nonpaged area is the installation of wrong drivers that may be accessing your memory page and is also not supported by the system. Windows 10 page fault in nonpaged area is observed usually when the Graphic card drivers is automatically updated. Cause III- When there is no memory page in the properties of the system i.e., when you have disabled the Page memory then you will observe this blue screen error. Or if you have set a wrong figure in the seated memory, then also you will face this kind of error and need ways of how to fix page fault in nonpaged area. 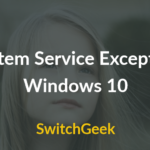 Cause IV- The last cause of this commonly occurring error of page fault in nonpaged area ntfs.sys Windows 10 is when the Hard drive on which you have installed the Windows 10 is damaged. So this damaged area leads to complete blue screen i.e., page fault in nonpaged area Windows 10 Dell or XP, in any model that you own. The issue of page fault in nonpaged are Windows 10 can also be spotted in the previous versions like Windows 8 or 8.1 as well. there are complaints by its users as well and so they are also not from such error. The users facing the page fault in nonpaged area Windows 8 are using the Windows debugging tool that is in built. 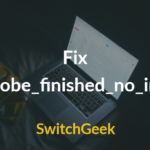 One might get a lot of useless tweaks through the Windows forum to fix this issue and in turn, make them look for ways of how to fix page fault in nonpaged area. And so we are here with some solid ways to which you can fix this page fault in nonpaged area Windows 10. BSOD or Bluescreen of death is a popular Windows 10 error and you will face this error due to many reasons. One of the most irritatng BSOD error is Page Fault in Nonpaged area error, which is occur because of the power outage. If you are stuck at the blue screen error page and your PC is restarting without even blinking, firstly you just need to shut it down by pressing the button and let it experience a forced shutdown. Now when the PC restarts, enable F8 key in Windows 10 to open a new boot screen with the Menu of Windows Advance Option. Make sure it is in Safe Mode and the opt for “Select last known good configuration option” from it. This will start our PC in the last good configuration and page fault in nonpaged are fault will stop temporarily. Now when you restart your computer, press F12 instead of F8 after a screen with white text is displayed. A new menu will be displayed when you press the F12 key for a few seconds. Locate and select the Disable Memory Cache, and save the settings and exit. Now let your computer boot completely after you restart it. Press Windows flag key+ R and enter “chkdsk/f/r C:” in the run dialog box and press Enter. This will fix the problem in your hard drive with the command that will check the disc for errors. But if you still are facing the page fault in nonpaged area Windows 10 dell, the check out the next method. If the error is not caused due to some hardware problem. Then this simple trick might pull you out of the trouble. Open Control Panel and select System or right click on the computer screen and choose Properties. Now on the left hand side, select Advanced System settings. Click on Settings under the Performance option. 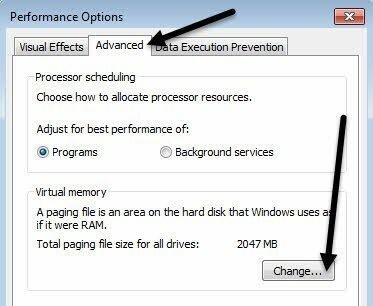 Now hit the “Advanced” tab and then under the Virtual Memory title select hit the Change button. Now just uncheck the “Automatically manage paging file size for all drives” and also select No paging file. Next, press OK many times so that you get out of all the open dialog windows and restart your PC. Now after you have started again, follow the above steps. 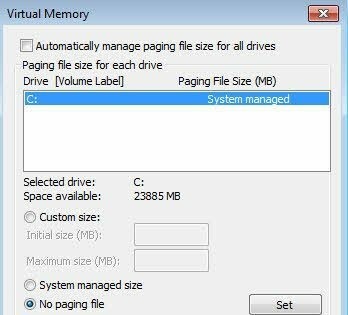 But this time check the “Automatically manage paging file size for all drives” and hit the System Managed Size. This might work for a few people but if you are not one of them. So let’s try the next method. Sometimes when you update a driver for any piece of hardware, it might happen to be a faulty driver. We all are aware that for Windows drivers are essential. And sometimes these latest drivers instead of fix the problem become their cause. Click on Start and then hit on Device Manager. Now right click on the Device whose driver you have recently updated. 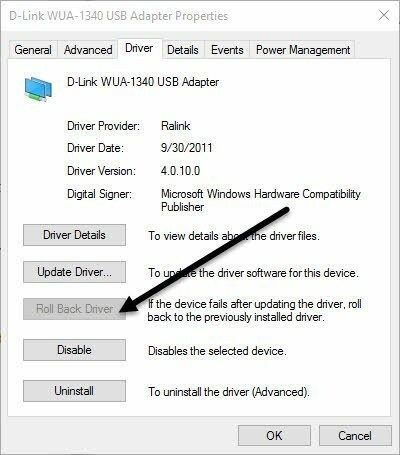 And now click on Roll Back Driver option. You can also do this by choosing Properties. And then clicking on the “Driver” tab and then finally hitting the Roll Back Driver button. If you cannot see the above given option. Then it means that it is the only driver ever installed for that particular device. Lastly, you can try to press the Uninstall option and restart your PC. This will install the driver automatically as the Windows will reboot. Usually, the device having the fault or outdated driver is shown by a yellow exclamation mark. This method can help you to fix the page fault in nonpaged area Windows 10 error. One of the main culprit behind the page fault in nonpaged area Windows 10 is the RAM. Aince the error is not limited to a particular OS and can appear in Windows 8 or Vista or XP. Usually, when it has become defective, you need to remove the defective one. Provided there are a lot of RAM chips installed in the device. But if your PC has only one RAM chip, then you will have to buy a new on. As it is not possible to run a PC without RAM chip. Sometimes due to power failure, the RAM causes a problem. It can be fixed easily by removing it and reinserting it properly. But before you complete this process, make sure your PC is completely shut down. And you have unplugged the power cords and removed the battery. After you reinsert the RAM, restart our computer. And check if the page fault in nonpaged area Windows XP has been fixed or not. Your anti-virus software is also a probable reason that can cause the issue./ Windows 10 page fault in nonpaged area or as you know it blue screen error. In such a situation it is advised that you uninstall the antivirus software and restart your computer. Though the chances of anti-virus being the cause of page fault in nonpaged area Windows 10 is low, you can at least give it a try. If you are getting error messages like page fault in nonpaged area ntfs.sys Windows 10. Then you can perform any of the above given processes of Upgrading or Updating/ Rolling Back Drivers/ or Reinstalling or Removing the drivers. But before that you will have to create a small memory dump by configuring the PC. After doing this you will be able to analyze the situation. And fix the Windows 10 page fault in nonpaged area accordingly. Conclusion : These were the best ways by which you can resolve the page fault in nonpaged area Windows 10. And so you will find a lot of page fault in nonpaged area Windows 10 torrenting files through which you can fix this problem. But if it still persists, then you must take your PC to some professional as the problem might be a little grave.